When the war against Japan ended the 1st Lincolns were sent to Sumatra to round-up the Japanese. animation". The two Territorial Army battalions, the 4th and the 6th, were disbanded. Goldsmith Club had been blown up. The following year they were posted to Egypt. Meanwhile, in 1946, the King had proclaimed that in recognition of outstanding service, the regiment would in future be known as the "Royal Lincolnshire Regiment". The decision was taken to amalgamate the 1st and 2nd battalions. 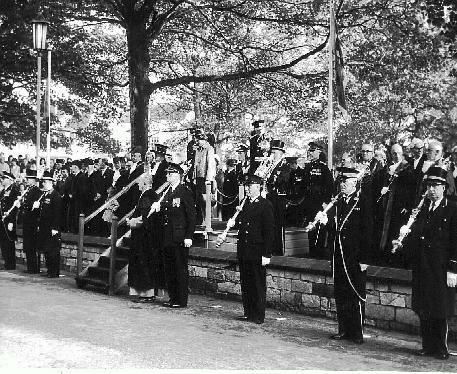 The handful of officers and men--all that remained of the 1st battalion--left the depot with the Colours and the silver drums and bugles, and in a ceremony on 28th October 1948 at El Bullah in Egypt the two battalions were amalgamated, the 2nd battalion becoming the 1st. Amalgamation of the 1st and 2nd battalions at El Bullah, Egypt in 1948. 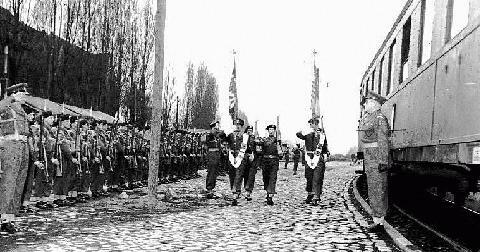 The Lincolns returned home in 1952 and were then posted to Goslar in the Harz mountains, very near to Russian-occupied Germany. In 1954 they moved to Berlin. They stayed there until 1955, when they returned to England to re-fit prior to embarking for anti-terrorist duties in Malaya. They were in Malaya until 1958 and then returned to Germany, where they were based at Minden. This was to be their last posting, for in 1960--after 275 years--the regiment lost its identity when it was amalgamated with the Northamptonshire Regiment to become the East Anglian Regiment. Then, in 1964, there was a further amalgamation when that regiment became one of the four battalions of the Royal Anglian Regiment. 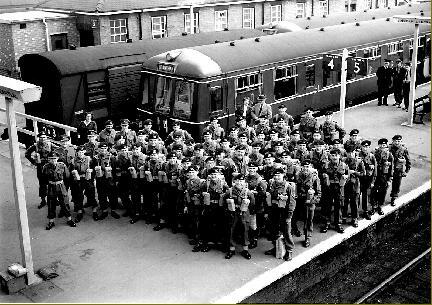 A draft of recruits bound for Germany leaves Lincoln station in 1958. The Lincolns arrive in Berlin. The County says goodbye to the Regiment. After the laying-up of the colours at Lincoln Cathedral the Colonel-in-Chief (the Duchess of Gloucester), the Lord Lieutenant, the Mayors and Town Clerks of the Boroughs of Lincolnshire together with their mace-bearers (standing on the road) and the members of Lincoln City Council gather for the regiment's final march past.